A wise person once asked me, "Josh, how do you play...as an adult?" They added, "Finding a way to play is as important now (in your 30s) as it was when you were a child." About 6 months into the process of making this album I realized, "Oh! THIS is how I play!" So I kept playing. And then I put it on tape. It's been two weeks since this album was released into the world and I'm so grateful to those of you willing to give it a listen and share it with others. In a strange way, when you listen, it's like we're in the sandbox together, isn't it? 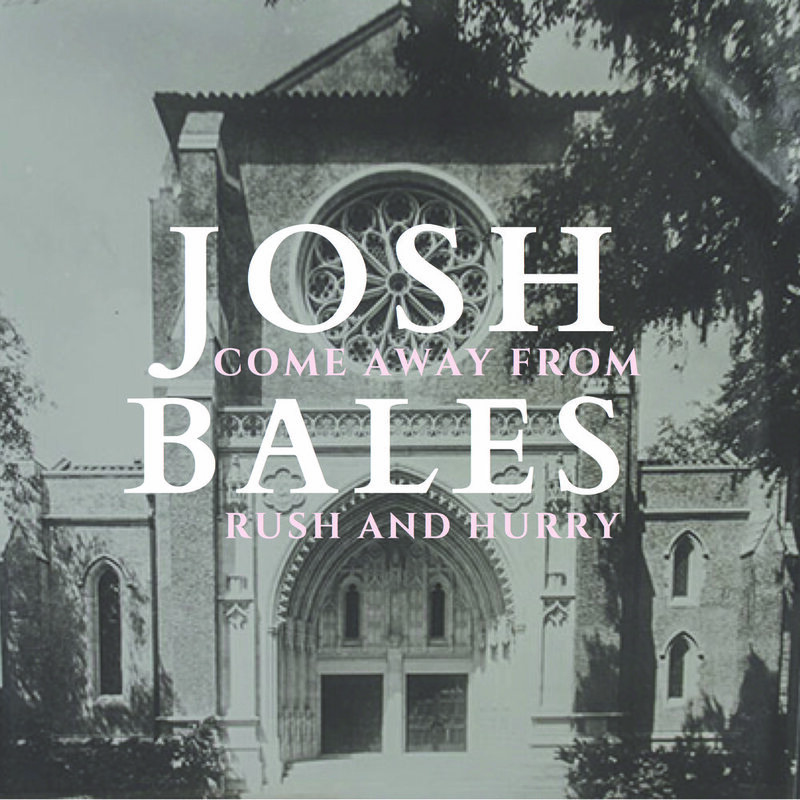 The story behind the album art for "Come Away From Rush and Hurry"
Josh is equal parts Singer-Songwriter, Anglican/Episcopal Priest, and Mental Health Therapist in private practice. He holds an M.Div. and M.A. in Counseling from Reformed Theological Seminary, as well as a Certificate in Anglican Studies from Nashotah House Theological Seminary. Josh's music has gained a following of fans from all walks of life after recording four diverse albums and touring for more than 15 years. In 2006 Josh released "Underneath The Armor" (Only The Sinner, A Hymn For All The World, Ten Thousand Places). In 2012 Josh's fans funded "Count The Stars," an album recorded with multi-award winning producer, Ed Cash. 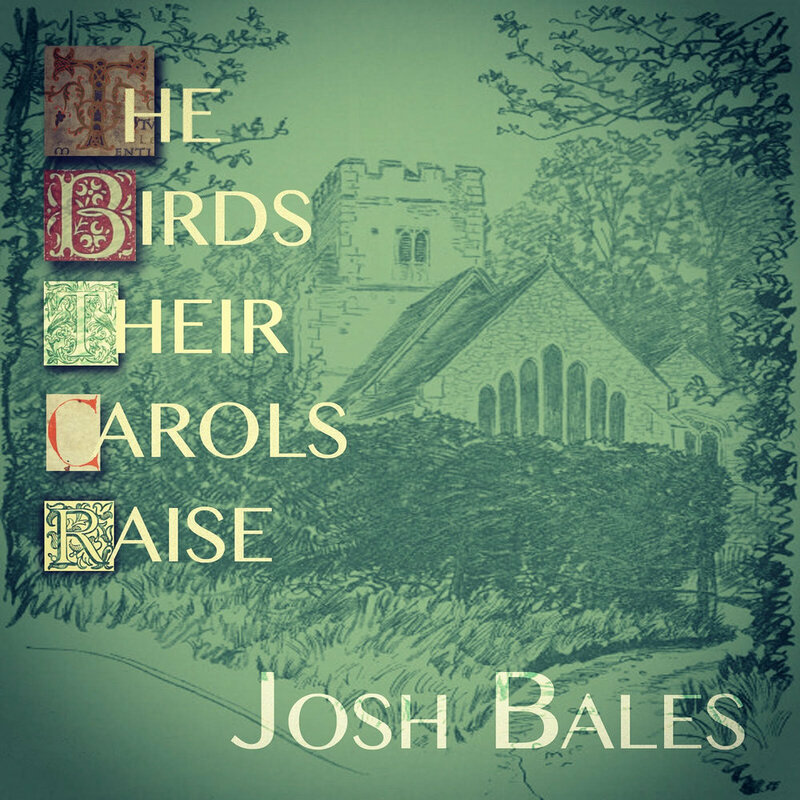 In 2015, in addition to "Somehow I Knew," Josh issued a collection of hymns and sacred songs called "The Birds Their Carols Raise." His latest album is a second volume of hymns called “Come Away From Rush & Hurry,” released in 2018. Originally from Chattanooga, TN Josh now lives in Orlando, FL. where he serves as Canon Priest at the Cathedral Church of Saint Luke. A year and a half ago I began arranging and recording these hymns. My vocation is a wonderful mix of being a husband, dad, counselor, and priest, so most of the work on this album was done in between sermon-writing, potty-training, and therapy (my own and that of my clients). Stealing away to work on this music brought life to me as a husband, priest, dad, and therapist. A project of hymns, sacred songs, and originals. Recorded in his home and counseling office in Orlando, this album has been ten years in the making! An album of Nashville-infused pop songs. Josh was born in the 1980s, in Tennessee…which means he had Phil Collins in one ear and Country Music in the other. It was a great time to be alive for a songwriter. This is road trip music best enjoyed at top volume with the windows down. Josh teamed up with award winning producer, Ed Cash, to put together a new collection of songs about hope, identity, forgiveness, and grace- themes of every human story, and God’s story, too. On this project are some of the songs Josh is most known for- “Only The Sinner,” “Ten Thousand Places,” and “Your Love Holds On.” It’s a beautiful album with intricate guitar work and reflective songwriting. ...Soul care requires hard work, sincere grief, and profound laughter. Placing one’s self on the gurney of personal growth is physically, mentally, emotionally, and spiritually exhausting. Effective soul care always, always involves grief because grief and soul care are both interested in the same things: movement, change, and transformation. But if you stopped by Journeys Counseling Center where Mindy and I have an office, you probably wouldn’t believe the amount of laughter sneaking out from the otherwise soundproof counseling rooms. Christian worship is about participating in the life of God himself: Father, Son, and Holy Spirit. In the liturgy of the Church you and I come face to face with our Creator, Redeemer, and Sustainer. As we participate in God's life, we are changed by it. We sing it. We pray it. Our bodies move with its rhythms: making the sign of the cross, bowing, kneeling, the raising of hands. This is particularly clear in the Sacraments of the Church: we feel the grace of God pouring over our heads in the waters of Baptism. We taste, touch, and smell the grace of God in the Eucharist, the real presence of Jesus Christ, his body and blood, soul and divinity. Help Fund The Next Album!